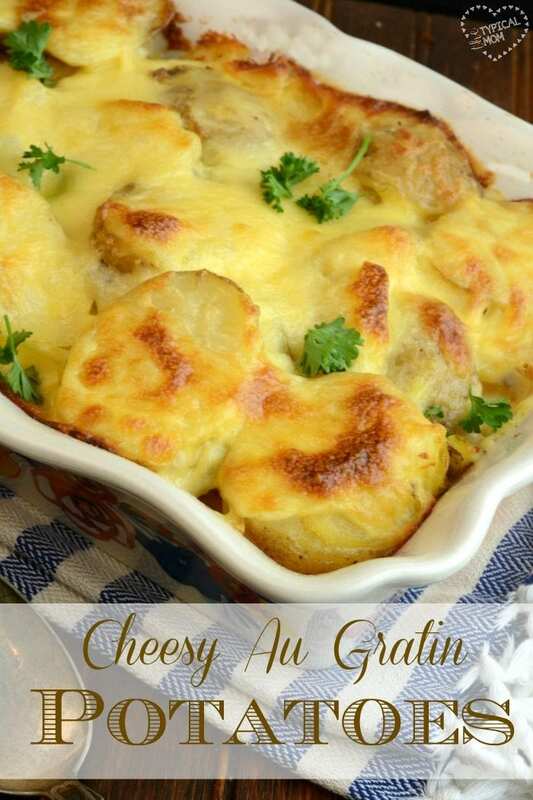 This is an easy potatoes au gratin recipe you can make as a side dish for the holidays!! Serve for Easter or Thanksgiving and it’s also perfect to put your leftover ham inside and make as a meal. If you’ve never made homemade au gratin potatoes this is a simple way to do it with just a few ingredients. 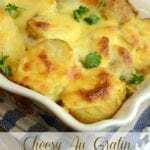 Au Gratin potatoes are a great side dish to ham or even turkey at Easter or Christmas time. Everyone loves cheese and potatoes! I have made the boxed version before and they are ok, but quite frankly these are almost as easy to throw together and you only need a few ingredients to make this easy potato side dish. Here is the recipe. 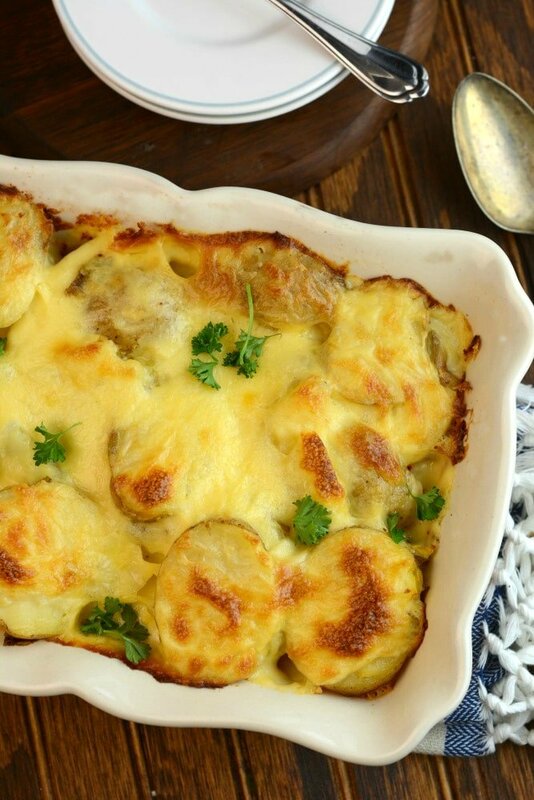 This is an easy potatoes au gratin recipe you can make as a side dish for the holidays!! Serve for Easter or Thanksgiving and it's also perfect to put your leftover ham inside and make as a meal. 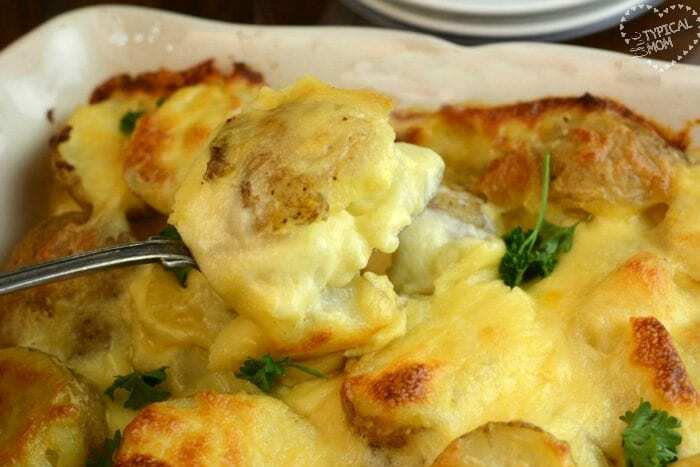 If you've never made homemade au gratin potatoes this is a simple way to do it with just a few ingredients. Melt butter on the stove, add in flour so it thickens Use a wisk and add in milk and continue cooking over a medium-low heat for 2-3 minutes or until it's bubbly and thick. Add in cheese and stir until melted. Take off the heat. Layer some of your potatoes in a baking dish, or corningware. Sprinkle with a bit of garlic salt. Pour over 1/4 of the cheese. Repeat layer of potatoes and cheese until your pan if full. Bake for about 60 minutes or until top is golden brown and potatoes are tender. It’s kinda’ like lasagna with the layering. I like to use both mozzarella and sharp cheddar but use whichever you’d prefer or both. Use as a side dish or it’s a great dish to use your leftover ham in! Just dice your leftover ham and layer it with your cheese and bake as usual. I hope you like this holiday side dish and your get together is yummy and fun! Can’t wait to make this. It’s an “easy” recipe that is actually easy!